Linda Neal lives with her dog, Mantra, near the beach. She studied literature at Pomona College, earned a degree in linguistics and a master’s degree in clinical psychology. 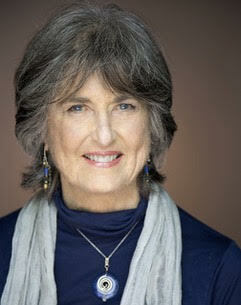 Her poems and essays have appeared in, or are forthcoming, in numerous journals, including Crack the Spine, Landlocked (formerly Beecher’s), Lummox, Peregrine, Prairie Schooner, Santa Fe Literary Review and SLAB and have won awards from Beyond Baroque Foundation, Pacific Coast Journal, PEN Women Writers and San Luis Obispo Golden Quill. Dodge & Burn, her first collection (Bambaz Press) came out in 2014. She is enrolled in Pacific University’s MFA program in poetry and is working on her second collection.